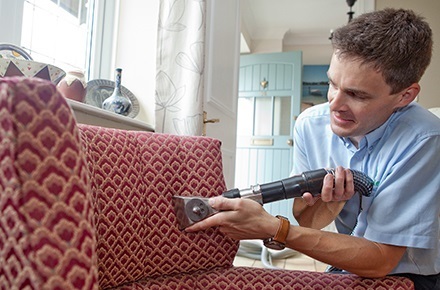 curtain and upholstery cleaning services in Pulborough for over 20 years. contact Apple Clean for a local, personal service that is second to none. Hi, I’m Jonathan and for over 25 years I’ve been supplying carpet, curtain and many other cleaning services to homes and businesses in and around Pulborough. My beliefs have always been that the best way to success with a local business is to offer an exceptional service which is both professional and personal, giving great customer service and achieving excellent results. Give me a call today and I’ll explain what we can do for you and I’ll give you honest and realistic advice. At the same time you can get an instant no-obligation quote. We are very proud members of the Check-a-trade scheme as it enables you to see certified and genuine reviews from past customers in and around Pulborough. Give us a call us now on 01243 778 859 to find out more about the cleaning services we provide to homes across Pulborough and how we can help you. 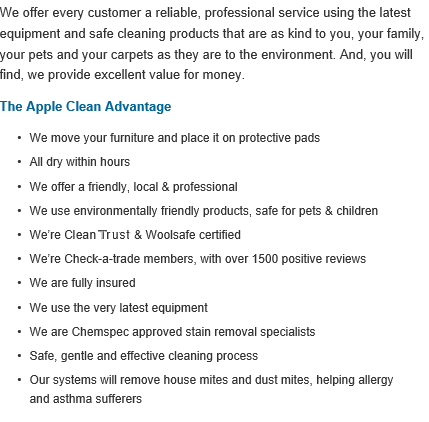 Apple Clean are extremely keen on providing outstanding services to all our clients across Pulborough. We look to maintain the highest level of professionalism when working with our clients in the area and want to continue to improve upon the wonderful reputation we have already earned over the last 20 years. 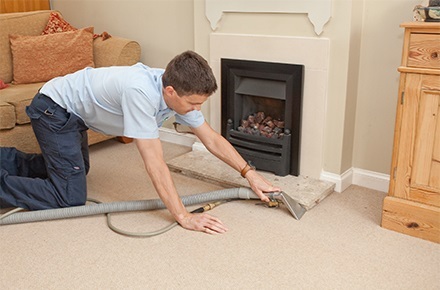 If you are based in Pulborough and feel that your home could benefit from a specialist carpet, rug, curtain or other fabric cleaning service, we would be more than happy to help. 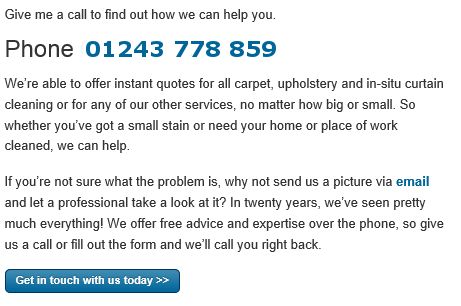 We are specialists when it comes to stain removal, carpet cleaning and in-situ curtain cleaning. Furthermore, we are highly regarded on Checkatrade and still receive great feedback from clients we have worked for in the past. It can be a frustrating process when you are trying to get rid of a troublesome stain on the carpet. In addition, the constant build up of dirt and dust in your home can further increase the effects of allergies and generally leave you feeling uncomfortable in your own personal space. You don’t want to inflict further damage to your fabrics and this can happen if you aren’t protecting your surrounding furniture with the correct protective equipment. You may also be using the wrong solutions in an attempt to rid a carpet or curtain of the stain, another cause of further damage. Fortunately for our clients in Pulborough, Apple Clean can provide a fully equipped team of professional operatives that are more than capable of dealing with troublesome stains and will leave your home or premise feeling clean and refreshed. Our specialist operatives are always looking to help clients who are struggling with stains and dirt marks in their homes. They will visit your home and discuss the work that we do, before getting to work in a coordinated and precise manner. The specialist service that we provide is a delicate job, so it’s important that the work is performed with the utmost courtesy and precision. We always look after our clients surrounding furniture and make sure that nothing can be potentially damaged by the cleaning work that we do. We pride ourselves in offering the best possible service to our clients here at Apple Clean and have received plenty of recommendations from previous clients in the past. 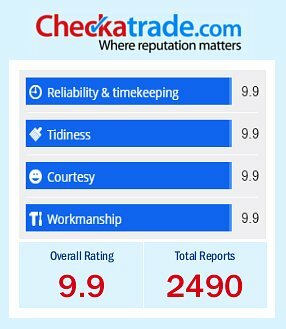 Thanks to our services that span over 20 years, we have become one of the highest-rated cleaning companies on Checkatrade. So if you live in Pulborough and feel our services could really help your premises, contact Jonathon today for a free quotation.